Omnichannel investments, including in-store pickup and endless aisle, continue to be top strategic investment for digital business professionals at retail organizations. Forrester predicts that digital touchpoints will influence 55% of total European retail sales by 2022, so a retailer’s digital presence continues to play a significant role in influencing consumer purchase decisions, both online and in-store. Retailers must continue to factor in the power that digital touchpoints have on driving in-store sales as well as online sales. This influence on in-store sales also underscores how important it is for retailers to continue investing in and fine-tuning their omnichannel capabilities. To evaluate how well a mix of eight European and two US retailers are executing omnichannel initiatives, Forrester conducted the Retail Omnichannel Capabilities Assessment between April and July of 2018. US retailers still lead the way. Best Buy was the top-performing retailer in this year’s evaluation, scoring 91 out of 100. Two US retailers, Best Buy and Macy’s, scored better across categories than most European retailers we evaluated — and particularly stand out for their strong performance across channel consistency and in-store pickup categories. French retailers are top European performers. French retailers Decathlon and Fnac were the top-performing European retailers in the evaluation, scoring particularly well for online experience. They were two out of only three European retailers to let customers browse and buy online from store stock. 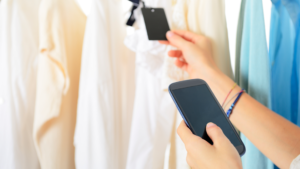 Retailers can still improve in-store collection service. Retailers still have more to do to rise to the next level of in-store collection in terms of speed, efficiency, and physical location. We have recently published a document that shares deeper analysis of the Retail Omnichannel Capabilities Assessment and shares best-practice examples from a range of retailers across the US and Europe. You can download the document here. If you’d like to discuss any of the findings in further detail, please schedule an inquiry with me.